The new 2014 Mercedes-Benz CLA-Class has received the five-star Euro NCAP rating and gets top honors for safety. The all-new 2014 Mercedes-Benz CLA-Class is not only gorgeous, but it’s also one of the safest compact luxury cars in the world. The CLA-Class has just achieved the five-star Euro NCAP rating and gets top honors for safety. That’s quite an honor for the new four-door coupe that has just been recently launched around the globe. CLA is now the third member of the successful new generation of Mercedes-Benz compact cars, and has achieved the best possible rating of five stars in the demanding Euro NCAP assessment scheme. The new A- and B-Class before it likewise showed excellent performance in the Euro NCAP crash tests. The new Mercedes 2014 CLA-Class is one of the most aerodynamic cars on the planet, but it didn’t effect safety. The CLA came through in the European NCAP (New Car Assessment Program) rating procedure with flying colors. It achieved the best possible rating of five stars for occupant safety, pedestrian protection and assistance systems. CLA-Class comes standard with a number of safety systems like Collision Prevention Assist, Attention Assist, Adaptive braking technology, Daytime Running Lamps and Rain-sensing windshield wipers. The new four-door coupe also received three "Euro NCAP Advanced" rewards for these safety innovations, including the radar-assisted second-generation Collision Prevention Assist, the Attention Assist drowsiness detection system and the anticipatory occupant protection system Pre-Safe (optional equipment). The CLA comes loaded with additional occupant safety equipment. The luxury compact coupe protects its passengers with up to nine airbags. Other safety highlights include belt tensioners and belt force limiters, front and back, and the active hood for pedestrian protection. The new 2014 CLA can also be ordered with numerous driving assistance systems in connection with Mercedes-Benz Intelligent Drive. They include the Lane Keeping Assist, Blind Spot Assist, Distronic Plus, Intelligent Light System, Active Parking Assist including Parktronic and reversing camera. The 2014 Mercedes-Benz CLA250 will have an MSRP starting at $29,900 plus $925 destination. It will come standard with HD Radio, Hands-free Bluetooth interface, Sport front seats, 14-way front seats with memory, Split-folding rear seats and ambient interior lighting. 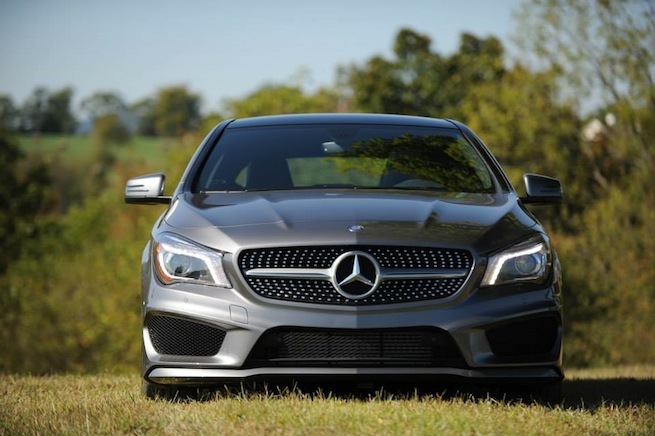 The 2014 Mercedes-Benz CLA-Class seems to have it all. Along with a great new design, the CLA is one of the safest cars on the road.